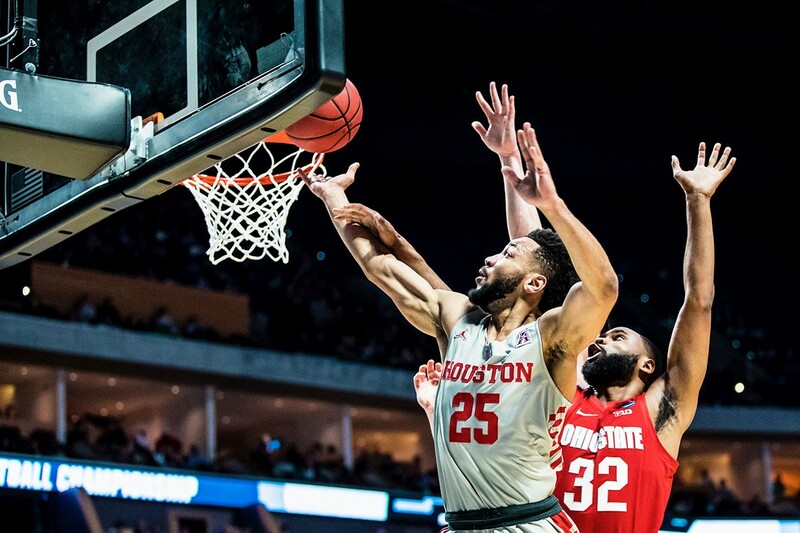 Surely at least once during the past 21 years when University of Houston basketball standout Galen Robinson Jr. blew out his March 31st birthday candles one of his wishes was going to the NCAA Final Four. Cougar nation and the city of Houston are holding their breath and standing by with party horns in hopes that Galen’s birthday wish will be granted this Sunday - his 22nd birthday - which is also the day the Elite Eight teams play to determine who will head to the Final Four Championship. 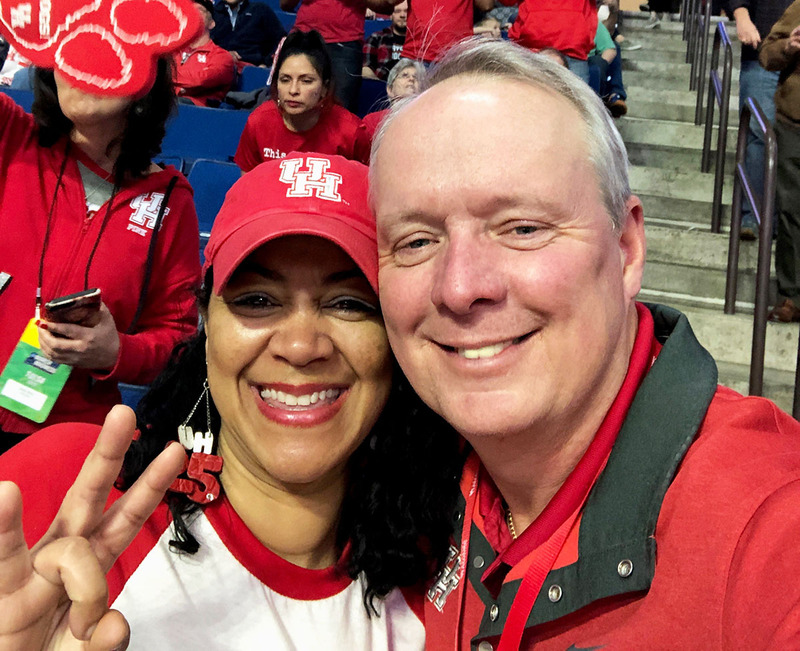 Last Sunday, March 24, Galen and his Cougar teammates defeated Ohio State University to send UH to the NCAA Men’s Basketball Tournament Sweet 16, the reward for being one of 16 teams left standing after a whirlwind of basketball games played by 64 teams March 21-24. The Houston program hasn’t been to the Sweet 16 since 1984 during UH’s famous Phi Slama Jama years. Galen, his teammates and some of his coaches and trainers weren’t even born yet. Galen’s parents were born but may not remember those basketball games since they were in elementary school. 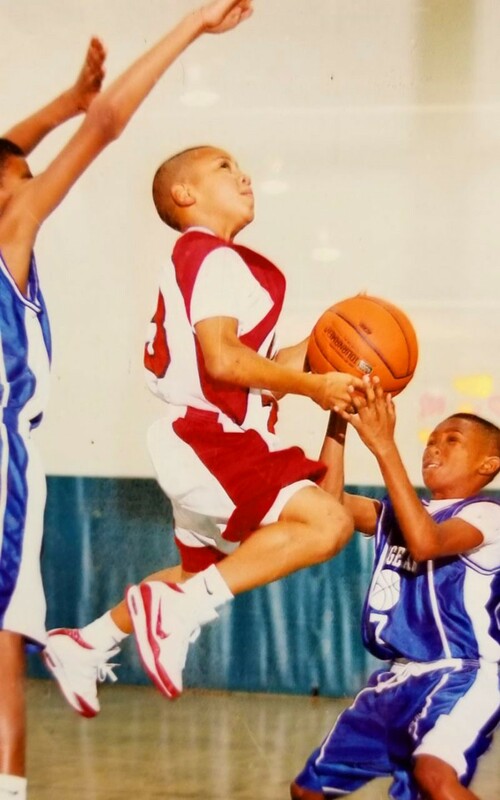 Galen at age 12, flying past his opponents and proving that even though he may be small he's still mighty. Not that long ago, Galen himself was an elementary school student here in Houston. Yes, before Galen was a ferociously clawing Cougar, he was a wise Lovett Elementary Owl, a mighty Pershing Panda and a winning Westbury Christian Wildcat. In middle school, all five feet of Galen caused “panda-monium” on the court for opponents of the mighty Pershing Pandas in Braes Heights. Before he began his crazy cat chapter with Shasta the UH Cougar, he was howling it up with Wylie the Westbury Christian High School Wildcat. Galen flying high to score another basket for the Westbury Christian High School Wildcats. Galen officially signs with the University of Houston (where his father, Galen Robinson Sr. also played in the ‘90s). His mom and uncle look on proudly. University of Houston Head Coach, Kelvin Sampson, had only started at UH in April of 2014. The program was still turning around. 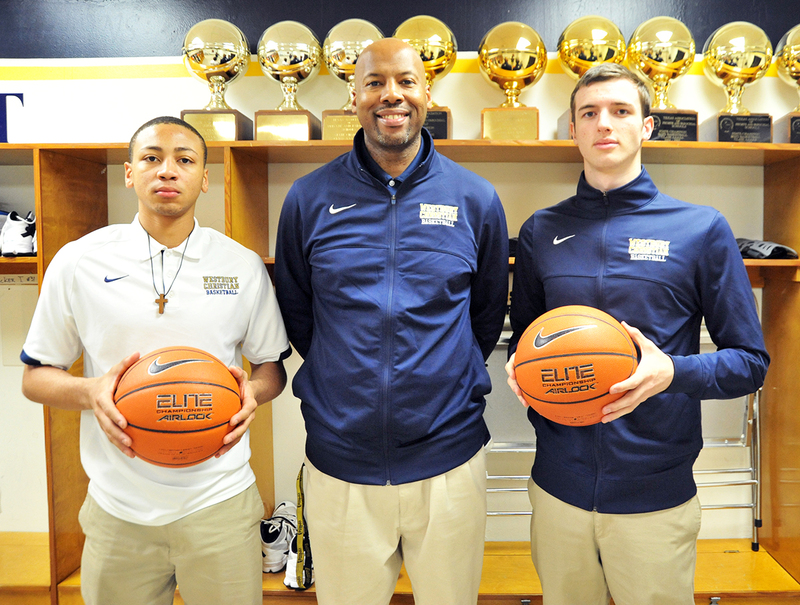 The Cougars 2014-15, season record was 13 wins and 19 losses (compared with this year’s 33 wins and only 3 losses). Coach Sampson would watch Galen at the practices, not just the games. He already knew he was a talented player but wanted to see how he handled himself and interacted with teammates. Would he be a good leader? Perhaps what sold Coach Sampson were some of the same characteristics that impressed Galen’s high school teacher, Steve Hawley. "I was blessed to teach Galen in my Gospels’ class. He excelled academically and behaviorally, which others have done as well. What impressed me about Galen was that it wasn't a big deal to him when he was a big deal to others. He handled acclaim just like you would want any youngster to handle it; with grace, class and humility." During a ceremony in the school cafeteria during lunch on Signing Day, Nov. 14, 2014, Galen passed on heading to TCU and officially became a Houston Coog. 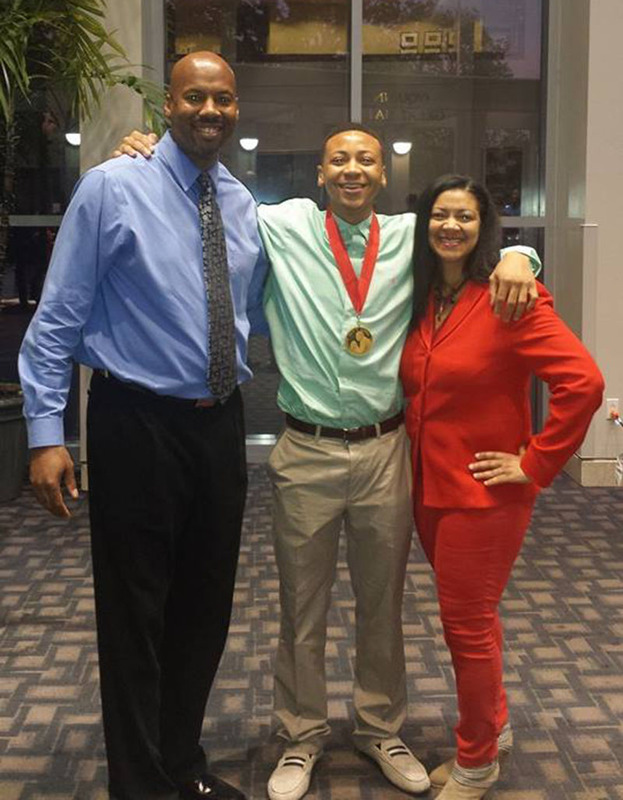 In May of his senior year Galen was honored to be the recipient of the Guy V. Lewis Award presented to the top high school boys basketball player in the city. Four years later and headed to the Sweet 16, it seems like the hard work has paid off. 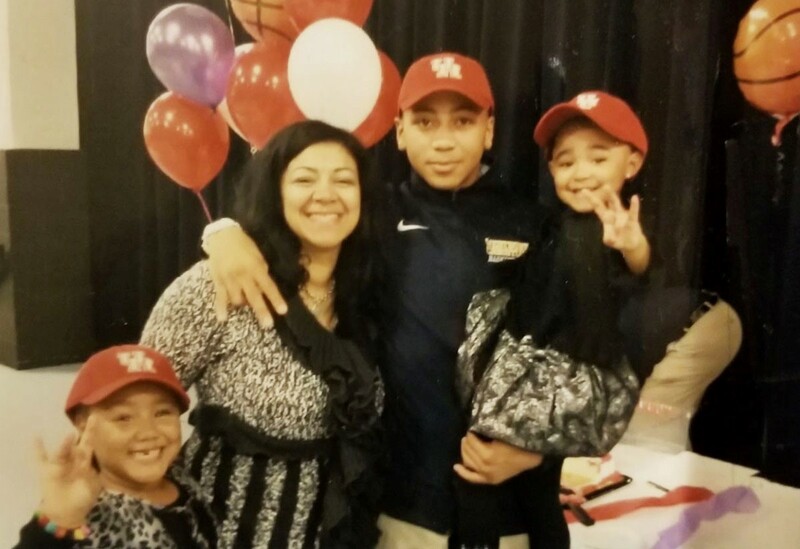 Galen celebrating signing day with his mom, Alicea Richmond, and his proud little sisters Skyler and Khloe who are showing their UH Cougar paw love. Not only does Galen love the University of Houston, he also loves the city of Houston. One day he tagged a social media post #ForTheCity just to liven it up. It spoke to him. Then, just for fun and encouragement, he wrote those same words on the dry erase board in the team meeting room. The coach and staff liked it so much, they’ve continued to use the slogan as an inspiration for the team. In one interview, someone asked Galen what he likes so much about Houston and he shared that as a native he’s always just liked it and that is was hard to explain to a non-Houstonian - sort of like trying to explain the Atlantic Ocean to someone that’s never seen it. Luckily those of us that live in Houston do appreciate that it is a special place filled with great people like Galen whose winning attitude is contagious. Houstonians and all of Galen’s fan club - which is growing as fast he dribbles down the court - look forward to cheering on our hometown March birthday boy, Galen Robinson and his University of Houston Cougars teammates, Friday, March 29, as they travel to Kansas City for their Sweet 16 dance with the University of Kentucky Wildcats. (Galen, please be a wise owl and be panda beary careful to remember that you’re not a Wildcat anymore!) Once the Coogs win that, it will be a dance with either North Carolina or Auburn on Sunday. Lovett Owls, Pershing Pandas, Westbury Wildcats and every Houston school and their mascots are all cheering for the UH Cougars’ Sweet 16 party to turn into a Sweet 22 birthday for Galen. No matter what, we think that Galen’s future is very bright. Happy Houston-size Birthday, G.
Read about dedicated UH Basketball fans over the years here. Cougar Fan Tim O’Rourke took a picture with Galen’s mom, Alicea, at the first game of the tournament in Tulsa, March 22. 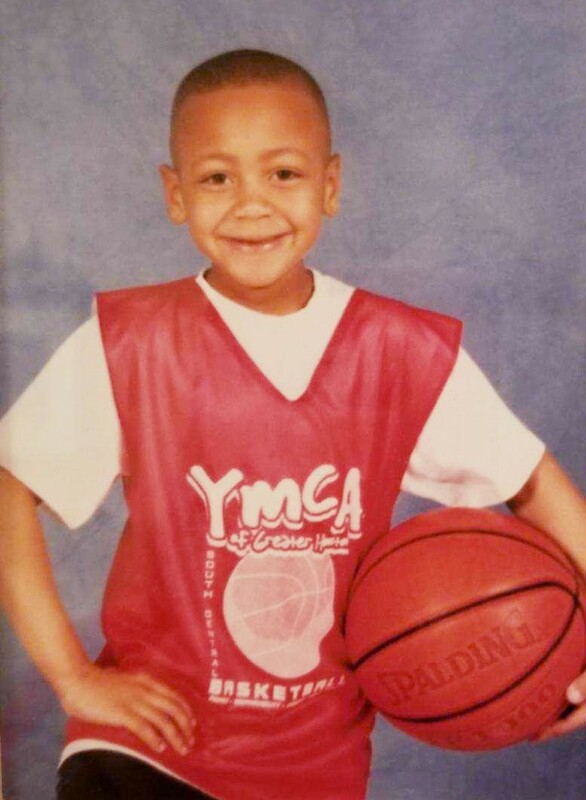 Pint-sized Galen proudly wearing a YMCA jersey and holding a basketball.